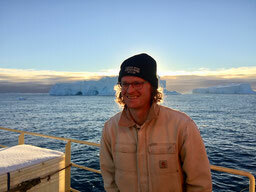 I am coastal marine scientist currently working as a postdoc with the MarineGEO program at the Smithsonian Institution. My research uses an ecosystem-based approach to understand the effects of environmental change on aquatic organisms through food web and physiological interactions in coastal estuaries and marine ecosystems. 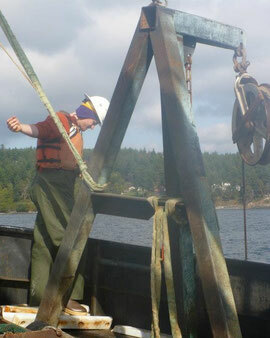 My goal is to integrate oceanography, physiology and community ecology. This theme has developed through a diversity of research projects in freshwater, marine, urban, polar, pelagic, nearshore and subtidal ecosystems. From these projects I have gained an appreciation for environmental variability and the lessons we can learn from observing it. My work is based largely in the field and involves a healthy dose of observation with a lavish splash of experimentation. This ecosystem-based approach requires a range of techniques to test alternate hypotheses in complex systems - techniques that span oceanography, biology and social science. I use a variety of tools in my research that have been developed in collaboration with researchers at universities, government agencies, and consulting firms as well as shellfish growers and fishing folks. I'm currently conducting field work investigating the strength of ecological influence on local pH variability across polar, temperate and tropical macrophyte and reef-building animal habitats. Ongoing research projects include effects of food and environmental variability on aquaculture bivalve health and studies on the role of red urchins in mediating the flow of kelp carbon through benthic ecosystems. See these pages for more info!